Our orthopedic physicians are fellowship trained, board certified, and highly skilled in general orthopedics, and have sub-specialty training and interests in areas such as knee, hip, and ankle replacement; pediatric orthopedics; and sports medicine. Our team also manages a wide range of musculoskeletal conditions including scoliosis, osteoporosis, fractures, ligament and tendon injuries, and deformities from birth defects or trauma. We also have a team of podiatrists dedicated to improving your quality of life by providing expert treatment for foot and ankle disorders such as sprains, arthritis, plantar fasciitis, sports injuries, and diabetic foot infections. We offer surgical and non-surgical treatment options, specializing in sports medicine, lower extremity injury, advanced wound care, elective and reconstructive surgery, diabetic issues, and pediatric foot care. 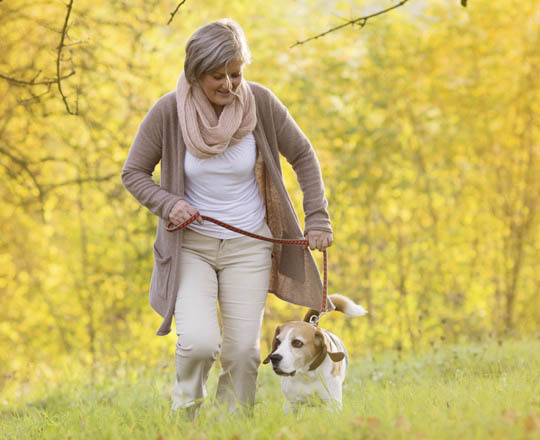 Our specialists offer surgical and non-surgical options to improve your health and increase your mobility. Clinton Clark, DPM earned his bachelor's degree from Boise State University. He received additional clinical training with the Diabetic Limb Salvage Program through the Joslin Clinic and Harvard Medical College. He served as associate clinical professor of surgery at the John A. Burns College of Medicine and as director and clinic instructor with HealthSouth Foot and Ankle Surgery Fellowship in Honolulu. Scott Graviet, DPM specializes in general podiatry, podopediatrics, and reconstructive foot surgery. He earned his bachelor's degree from Brigham Young University and his medical degree from California College of Podiatric Medicine. He completed his three-year residency in foot and ankle surgery at Kaiser Permanente Medical Center in Vallejo, California. Benjamin Kerns, PA-C is a certified athletic trainer. He earned his bachelor's degree in athletic training and sports medicine from Eastern Washington University and his master's degree in physician assistant studies from Idaho State University. Ronald M. Kristensen, MD specializes in hip and knee replacements as well as problems involving the lower extremities. Dr. Kristensen is a founder of the St. Luke's Joint Center, a fellow of the American Academy of Orthopedic Surgeons, and an active member of the American Association of Hip and Knee Surgeons. After completing his lower extremity fellowship in Seattle, he moved to Boise, where he advanced lower extremity reconstruction, having performed over 1,000 computer-assisted hip and knee replacement surgeries. He has worked with the early development of custom cutting jigs and has implemented advanced multimodal pain management techniques to minimize postoperative discomfort. Dr. Kristensen serves on multiple committees for St Luke’s. He has been active in teaching and research with numerous publications, as well as lectures regarding the management of arthritic problems. In 2005, Dr. Kristensen was elected as one of the Best Doctors in America by his peers and currently holds this nomination. It is Dr. Kristensen’s goal to return his patients to pain-free daily activities as well as recreational activities including golfing, biking, and skiing. Gary Millward, DPM is a podiatrist specializing in surgical and non-surgical foot and ankle care. He helped establish the High Risk Foot Clinic at the Boise VA and continues to work with Idaho's veterans. Dr. Millward enjoys working with students and residents and regularly lectures to BSU nursing students. He particularly likes caring for whole families, from young children to their grandparents. Colin Poole MD, AAOS, ABOS specializes in hip and knee joint replacement with a specific interest in treating the young active patient. He performs over 550 joint replacements per year and is a founder of the St. Luke's Joint Center. Dr. Poole and his team are dedicated to providing his patients with outstanding care, and if joint replacement is necessary, the best surgical outcome.